Brian Biro is America’s Breakthrough Coach! He is one of the nation’s foremost speakers and teachers of Leadership, Possibility Thinking, Thriving on Change, and Team-Building. Brian has delivered more than 1,350 presentations around the world in the past twenty-one years. His clients include such diverse organizations as Lockheed Martin, the US Army, Microsoft, the University of Notre Dame, the North Carolina Association for the Advancement of Teaching, senators and representatives from thirteen western states, the Virginia School Superintendents, Allstate Insurance, Good Samaritan Hospital, and hundreds more. A partial list of his clients is included below. 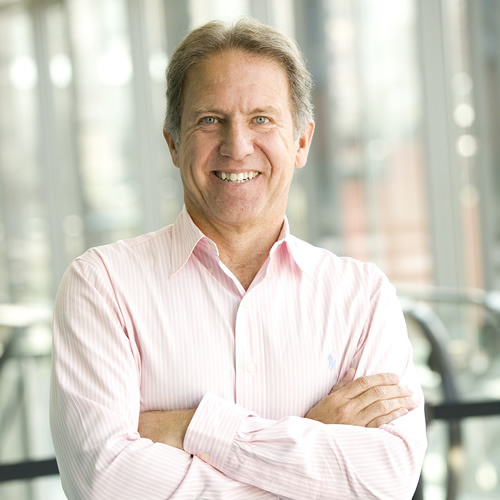 A former vice-president of a major transportation corporation in the Pacific Northwest, Brian helped lead a major turnaround that resulted in the company quadrupling in revenues, becoming solidly profitable, and being named the leader in the air freight industry for customer service and convenience by Distribution Magazine. He graduated with honors from Stanford and served as the President of the UCLA Graduate School of Management Student Association while earning his MBA from UCLA. 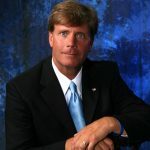 He has appeared on Good Morning America, CNN’s Business Unusual, and the Fox News Network, as a guest on more than 300 radio programs throughout the country, and as a featured speaker at the Disney Institute in Orlando. Recently he was named one of the UCLA Graduate School of Management’s 100 Most Inspirational Graduates in honor of the 75th Anniversary of the school. Always remember, you ARE a leader! You are the CEO of your own life! How do you ‘show up’ each day? That is leadership. How do you impact others? That is leadership. As a leader, when you clearly communicate your vision, you can actually create a “magnetic force” that draws yourself and others towards those positive expectations. In this vibrant, energizing presentation, you’ll gain new appreciation for your impact on others and how you can make a genuine difference! The session focuses on personal leadership, teamwork, and dealing positively with accelerating change. The Unstoppable Spirit is a tremendous program for families as well as businesses! Ultimately, no matter what industry you’re involved in, you are in the BREAKTHROUGH business! Every day you seek to breakthrough with customers to generate loyalty, satisfaction, and relationship. The key to lasting success in business is breaking through with your own team members so they eagerly embrace personal responsibility, committed purpose, and leadership. They must see themselves as breakthrough leaders! And especially in times of challenge, they must focus persistently on what they CAN do rather than wasting time and energy on the things they don’t control. This one-of-a-kind presentation ignites the energy and true leadership potential in every participant. You know the sad story… Sales hates operations…Operations can’t stand sales…their only agreement is that they abhor the home office just a little bit more! Though this description may be a bit of an exaggeration in your organization, it is absolutely clear that enormous energy, momentum, and results are being lost through the separation that comes from silos. Brian Biro, America’s Breakthrough Coach has tackled this challenge head on in real life, not just from the stage! First he built one of the nation’s largest and most accomplished swimming teams, successfully merging two top programs into a powerful and united program. Next, as a corporate vice president at a leading transportation company, Brian used the same teambuilding principles and strategies you’ll learn in this one-of-a-kind presentation to engineer a phenomenal turnaround that resulted in enormous sales and profitability growth while transforming a silo-infested organization to a high performance team! Finally through his work as a speaker and consultant, Brian has assisted hundreds of organizations to come together and build environments of mutual support, true respect, and great appreciation for one another. It’s a formula that creates BREAKTHROUGHS! Most merely put up with change. They wait, react, and try to keep it at arms length. If they’re lucky, these are change survivors. Some fight change and stay entrenched in old ways of thinking, acting, and leading. More often these become change victims whose results, quality, and enthusiasm dive right off the charts. Winners embrace and quite often anticipate or create change! These are change champions! They recognize that standing still is actually going backwards. They understand that the best things they’ve ever experienced or accomplished came from change…doing things they’ve never done before and thinking in ways they never have before. In this breakthrough presentation every single participant will learn the simple but powerful keys to move from change survivors or victims to champions! They will experience the joy of positive change and of accomplishing things they didn’t know they could do! The result of this exciting presentation is a team that is more united, engaged, and focused on possibility rather than limits! Isn’t it time to stop focusing and worrying about what you DON’T control and shift energy to what you DO control? Organizations and individuals that are winning in these challenging times are creating cultures of possibility based upon every team member embracing personal responsibility for their effort, energy, and attitude. In this extraordinarily engaging, vibrant, and FUN presentation, Brian Biro, America’s Breakthrough Coach ignites your team to build momentum from the inside out. From EGO to WE GO! You know the story… Sales hates operations…Operations can’t stand sales…their only agreement is that they abhor the home office just a little bit more! Though this description may be a bit of an exaggeration in your organization, it is absolutely clear that enormous energy, momentum, and results are being lost through the separation that comes from silos. Brian Biro, America’s Breakthrough Coach has tackled this challenge head on in real life, not just from the stage! First he built one of the nation’s largest and most accomplished swimming teams, successfully merging two top programs into a powerful and united program. Next, as a corporate vice president at a leading transportation company, Brian used the same teambuilding principles and strategies you’ll learn in this one-of-a-kind presentation to engineer a phenomenal turnaround that resulted in enormous sales and profitability growth while transforming a silo-infested organization to a high performance team! Finally through his work as a speaker and consultant, Brian has assisted hundreds of organizations to come together and build environments of mutual support, true respect, and great appreciation for one another. It’s a formula that creates BREAKTHROUGHS! Great leaders know the secrets to help themselves and their team members move from “it’s a job” to “it’s my PASSION.” They energize and engage the team, build effective and connected relationships, shape the future, and model personal excellence, integrity, personal responsibility, and humility. That’s how they deliver exceptional results. And every participant in this presentation is a leader – a self-leader – no matter what their title or position may be! Building People The ultimate secrets to building a culture of optimism! How do you build trust, momentum, energy, and passion into every member of your team, whether you’re the long-time leader or the rawest rookie? And when the workday is done, how do you bring that same enthusiasm to your loved ones? Most importantly, how do you build these qualities within yourself? Ideal time is 2.5 hours but it might be possible to do it in 75-90 minute time-frame. FOLLOW UP Program: Keeping the BREAKTHROUGH Energy Building! I’m so excited to introduce you to a simple but powerful follow-up program for you that will have a fantastic impact on your team and really increase your ROI from the event. The videos are SHORT – TWO and a HALF MINUTES max! The videos are beautiful (great time lapse photography and wonderful music) … I LOVE them! The program is INCREDIBLY inexpensive and cost effective. Your clients receive weekly reports about participation and impact. The BEST strategy is to kick the Breakthrough Leadership program off as soon as we can (WHILE THE IRON IS HOT) and run each weekday for 18 business days, starting shortly after the live event. What an AWESOME way to make the event last week have lasting and increased value! This is a tremendous way to DISRUPT THE STATUS QUO and ignite performance and focus. We can have your team up and running VERY quickly. I have wanted to come up with a great follow-up program for 28 years! THIS IS IT! After so many different attempts, this one works! It’s short, consistent, impactful, comes right to each participant, and affects them positively both professionally and personally. At the end of the 18 days your team will think differently, with fresh focus and energy. There is NOTHING more powerful than that! Want to bring Brian Biro to your next event? Please tell us a little about your event, and we will get back to you shortly!